The title alone of Simon Armitage’s 2011 poetry pamphlet, The Motorway Service Station as a Destination in its Own Right (published by The Poetry Business) was the inspiration behind and catalyst for this exhibition. Created to coincide with the second Sheffield Poetry Festival, selected photographers were invited to take part as much for the differences in their approach and style as for any similarities in their work. The resulting exhibition is an eclectic show of contemporary photography in which participants have used the title of Simon’s pamphlet as a point of departure, alongside the work of others who have more closely referred the content and mood of the original poems. Whilst all involved were aware of who else was taking part and free to communicate with each other, most of the work was undertaken in relative isolation. Photographers taking part are: Si Barber, David Barnes, Andy Brown, Simon Carruthers, Richard Chivers, Andrew Conroy (with the collaboration of Simon Armitage and Ian Baxter for the soundtrack), Alex Currie, Jessa Fairbrother, Sam Mellish, Andrew Robinson, Tribble and Mancenido. Thanks go to Simon Armitage and Peter Sansom for their assistance and support throughout. See reviews of the exhibition here, and here, and here. The exhibition guide can be viewed here. What made you get involved with this project? 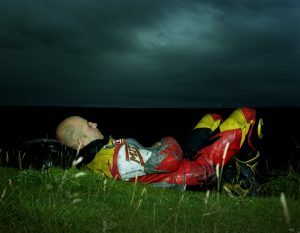 RC: I got involved as we (myself and the other Human Endeavour photographers were invited to by Andrew and John(. It seemed like a really interesting idea especially with the poetry of Simon Armitage as a starting point. What was the process behind creating your photographs? RC: The process for me in taking the photos was to stop at as many service stations as possible and just start taking photos to see what interested me in the spaces. I soon realised that they are generally quite boring and generic apart from a few exceptions. So I started to try and think of ideas to tie together the service stations that i wanted to capture. RC: So the idea behind my photos is to look at Service Stations where crime has been committed, focusing on Murder, Drug smuggling and illegal immigration. What were you influenced by when producing these photographs? RC: I was influenced by these spaces as a Non Place and the displacement and loneliness that i got from Simon Armitage’s poems. What equipment did you use to get the photo? RC: I used a 5×4 large format camera to get the photos. Do you have any other projects on at the moment? RC: My other main project at the moment is working with the other Human Endeavour photographers Alex Currie and Simon Carruthers on Degeneration which is a look at the Demise of Social Housing in the uk. Do you have a favourite/ worst motorway service station? Why? RC: I think my favourite service station was Hilton Park as it had a run down 60s feel to it, with its quite strange architecture and its location being close to Birmingham. What made you get involved with the project. 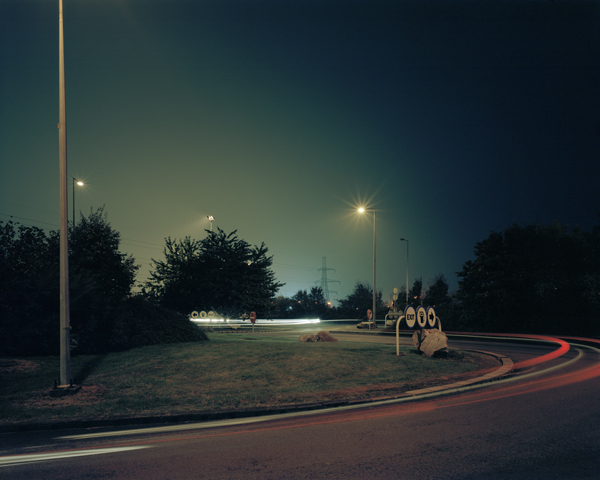 AC: I’ve always been fascinated by service stations as a destination in their own right and first photographed one on the A28 in France in 2008. When Andrew and John first broached the idea it seemed to make sense, especially with the opportunity of responding to the work of Simon Armitage. AC: My initial idea was to photograph the Pennine Tower at Lancaster (Forton) Services on the M6. Built in 1965 in the style of an air traffic control tower, it housed a restaurant at the top until it closed to the public in 1989. I photographed the exterior on several occasions and had agreed initial access with the manager on the condition that head office at Moto were happy for me to do this. Unfortunately i ran into a brick wall of health and safety and beaurocracy and was denied access. I continued to pursue this for six months and even sent the CEO of Moto a hand print of one of my photographs, but to no avail. The idea behind this was to photograph the interior, looking at how people used to make purposeful visits to motorway services as a day out in itself. Tell us the story behind your photographs. 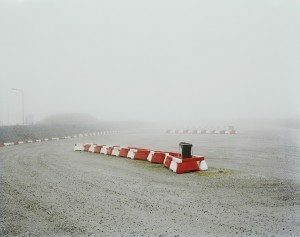 AC: Having realised that i could go no further with with my original idea i decided to respond directly to the text of Simon Armitage’s poems, and specifically to the line talking about the “implicit loneliness of car parks and cars”. This resonated with me as i spend a lot of time driving between Cumbria and Brighton and also to South West France to see family. I often do these journeys alone and my only human contact on these long trips occurs at service stations, which even though they are often teeming with people, i find to be quite alienating and unwelcoming. I’d been very ill when i started photographing in France in late 2012, and used the project to channel my energies emotionally through my work. I decided to do a week long trip around the UK in March and two days before setting off i heard the news that my foster mother in Leeds had died. This was very sudden and unexpected and the project became very much about my own grief and sense of mortality. I was very conscious of this the whole time i was photographing, and even though it was March the weather was more akin to a Scandinavian winter, with the whole country blanketed in snow and temperatures at sub zero, which made photographing extremely difficult given the circumstances. AC: The project was very much a response to being ill, grief and mortality. The influence from my work came from Simon Armitage’s text, which i then channeled emotionally into my own work. All the photographs are an emotional response to how i was feeling and were very instinctive in its approach. AC: I used a 5 x 4″ Horseman large format view camera, a tri-pod, three coats, gloves, scarf, hat and hand driers for defrosting my fingers. 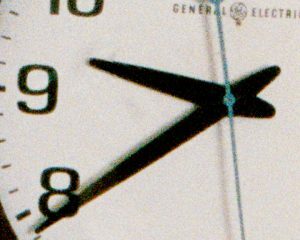 AC: I am doing a project, ‘Degeneration’ with Simon Carruthers and Richard Chivers of Human Endeavour about the effects of the demise of social housing, and also a project called ‘Glasgow Effect’, which looks at the discrepancy of life expectancy in Glasgow compared to other cities in the UK. We are just embarking on a new project about estrangement with Becca Bland called ‘Stand Alone’. Do you have a favourite/worst motorway service station? Why? AC: My favourite service station is probably Tebay, which has a pond and ducks and is nestled high up on the M6 by the Lake District, and does fantastic food. My favourite used to be Rivington Services on the M61 near Chorley, which had a fantastic seventies feel about it, but was unfortunately pulled down last year and replaced with a generic service station much like any other in the country. Leicester Forest East is quite good because you can get a good North/South view over the motorway in the food hall. I don’t like Newport Pagnell or Watford Gap and won’t stop at either unless i need the toilet. Do you have any memories from a service station that you would like to share? AC: There’s a very good service station on the A28 in France near Abbeville. It has a viewing tower that overlooks the Somme and is situated in a nature reserve and has swans. They do an excellent coffee and the childens playground has oversized frogs to play on. AR: Of the 30 service stations I visited without doubt the worst by far was Medway on the M2 in Kent, the first stop on arrival in the UK for much cross channel traffic. Medway is owned and operated by Moto the largest operator who own 40% of British Service Stations. The only Service Station that to my mind would really come close to constituting a destination in it’s own right is Tebay in Cumbria, run by Westmorland an independent local operator. Tebay doesn’t attempt reinvent the Service Station – it just does everything right. T&M: We were interested in creating a specific body of work that revolves around travel through time, memory and wanderlust. What was the process behind creating your photographs? / Tell us the story behind your photographs? T&M: Lost Ones (title of the series) is an exploration through time, memory and forgotten spaces. Our process involved us mining through thousands of negatives that we’ve shot and amassed over the course of 6 years, creating an imaginary road trip through memory. We cut apart medium and large format film negatives to construct new ones, focusing to create an abstract narrative with disparate images. Travel experiences have always led from one memory to the next and this small body is to encourage viewers to reconnect to small spaces in their personal environments and to imagine possibilities of new adventures, new destinations and untold stories. T&M: Tons of medium and large format negatives, some scissors, lightbox, and loops. Do you have a favourite / worst motorway service station? Why? T&M: Moto Mart in Perryville, MO. It was one of the first service stations we photographed when we became truck drivers for our series Hurry Up & Wait.